New Website Purple Offer SAVE BIG on Bike Park Trips! 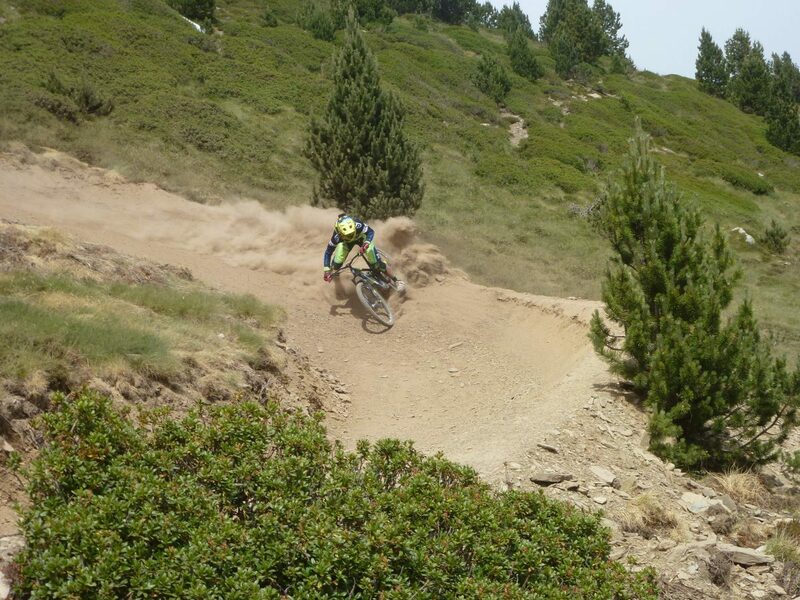 To celebrate the launch of our amazing new – and very purple – website we are offering some frankly crazy savings on our amazing 4-star Vallnord Bike Park holidays in Andorra! This is one of the best offers we have ever created – if you are booking a holiday for this summer you can save a lot of money! You could be blasting dusty trails in the beautiful sun as soon as June- which is the best month of the year to have the park to yourselves – smoothly swooping the flow of the high open mountain, or battling the technical challenges of the current World Cup trail in the steep forests! Book a 7-night trip before the end of April for less than £400! Local contact available at all times if you have an issue – english speaking! And remember, this trip (even at full price) is a genuinely cheaper via Singletrack Safari than by booking direct – just the room on its’ own (without breakfast!) is more expensive on booking.com – crazy, but true! Please quote “Launch Offer 2017” when booking to be sure of getting your discount.